How can we transform ourselves from sniveling cowards into fully realized spiritual beings? 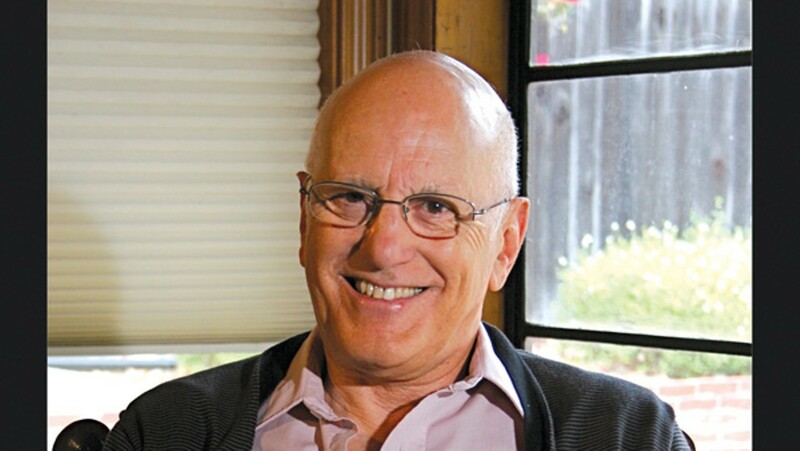 "Stop and hold every feeling, cradling it and allowing it to have its full career in you," suggests Jungian therapist David Richo, who draws upon Buddhist precepts in his teachings and whose many books include Wisdom's Way and The Sacred Heart of the World. "Distractions and avoidances only alienate you from yourself." Richo, who will discuss his new book Daring to Trust: Opening Ourselves to Real Love and Intimacy at Pegasus Books (2349 Shattuck Ave., Berkeley) on Saturday, January 29, also offers further tips, such as telling people close to you how you actually feel about them, "no matter how embarrassing it may be." "I took an interest in psychotherapy to try to solve my own problems," Richo said. "I now write as part of my spiritual practice. Whenever I see clients or work something out in my own life, I draw some type of realization from it and I make sure that I make note of it and include it in my writings." Working out our psychological issues is just the first phase in a "heroic journey," he said. "The path begins by releasing ourselves from the burdens and obstacles in our psyche. ... Then we open ourselves to the light of higher consciousness. Our spiritual practice is here. Mystical union follows as a gift." What follows "is sanctity. ... It is said that Jesus knew fully who he was only after the Resurrection. This is a metaphor for how we finally know our own divinity," a revelation born "of effort we achieve and grace we receive." The ultimate grace, in Richo's view, is love. "Relationships have helped me know myself and learn how to be more loving," he said. And love "is the cause, the means, and the result of our human journey. ... Unconditional love is the most powerful builder of our immune system. It actually protects us physically as well as spiritually. Paradoxically, it also makes us vulnerable emotionally." That's why it's hard to feel love without first feeling trust. "Only we bravehearts will want to board the ship called Trust," Richo writes in Daring to Trust. "Can we trust the ship not to sink? Can we trust our shipmates? ... Can we trust our fragile bodies to stay afloat in such a rowdy sea?" The idea for this book emerged during a therapy session with a couple. The wife had been unfaithful, and the husband feared not only that he would never trust her again but also that, after a lifetime punctuated by betrayals, he would never trust anyone. Among the healing techniques Richo offers is the Buddhist loving-kindness exercise, which entails sitting meditation-style while stating aloud your desire that the person you don't fully trust will become happy, fulfilled, and "as loving as possible."